Why Is This Chronological Order the Best Available Today? The author has spent over 40 years in arranging, and re-arranging, and structuring the order of events. Most chronological reading plans are very general and not at all specific. They will order the events in a general sense. Not this one! 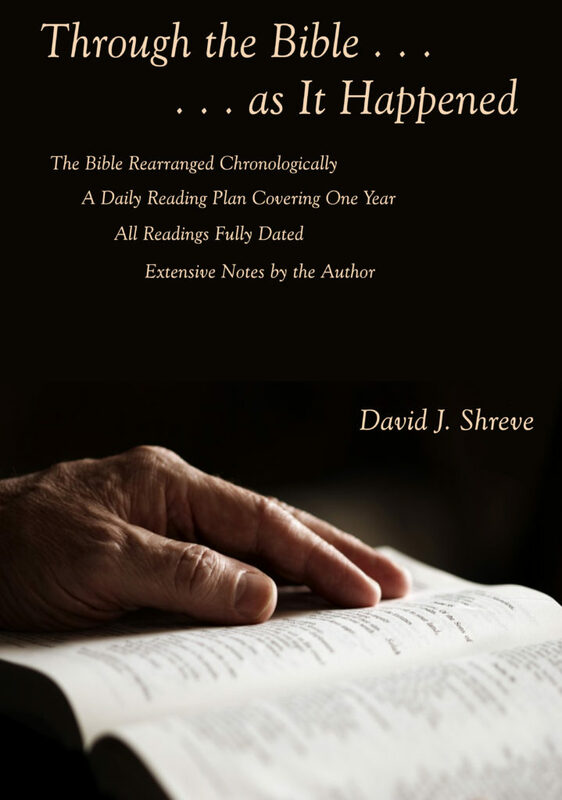 The author has carefully considered each Scripture text – verse by verse – to make sure that no single verse is in its wrong chronological setting. There is simply no reading plan this thorough that you can buy today – anywhere. Even the Psalms have been placed in their historical settings. While the Psalms are beautiful generally, each one was written from a specific event. Reading the event which precipitated the psalm – then reading the psalm itself – brings the psalm to its radiant beauty. You will understand the Psalms in a completely different way than you ever have before. The Proverbs, too, are placed into probable historic settings. While we cannot be sure what caused the writing of a proverb, many of the events of the Bible are a perfect match for incorporating one or more proverbs into their setting. Nothing has been left out – the prophets, the “wisdom” books, the “literature” books. All are in their proper historical place – for your pure joy as you read them this way. The New Testament, too! All of the Gospels are intertwined together so a beautiful picture of the life of Christ – all in perfect order – emerges from the pages of Scripture. Acts, along with the epistles, are interwoven for historical accuracy. It is just plain thrilling to read the words of Paul, and other New Testament authors, when the correct historical setting surrounds their material. You will understand and appreciate the epistles as you never have before. #* Do you read it mostly at church? #* Do you read it occasionally at home? #* Do you read it somewhat regularly at home? #* Are you an avid Bible reader? What it takes is – determination – discipline – and inspiration! Yes, the determination and discipline are yours! You can decide right now if this is something you want to do – and if it is something you can do. You already know the answer to the can-do part. 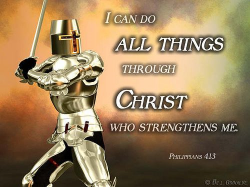 That’s because in Christ is the full ability to do everything He wants us to do. And surely, He wants us the be fully acquainted with all of His Word, doesn’t He? The want-to part is the questionable part. That’s the determination part. God will not force you to do this – you’ll have to want to do it. And, if you’re like most people, you probably want to! My Part Is the Inspiration Part! It took me over 40 years to begin, develop, restructure, and complete this chronological Bible reading plan. Even with a degree in Bible and a minor in Greek, the task was very involved. 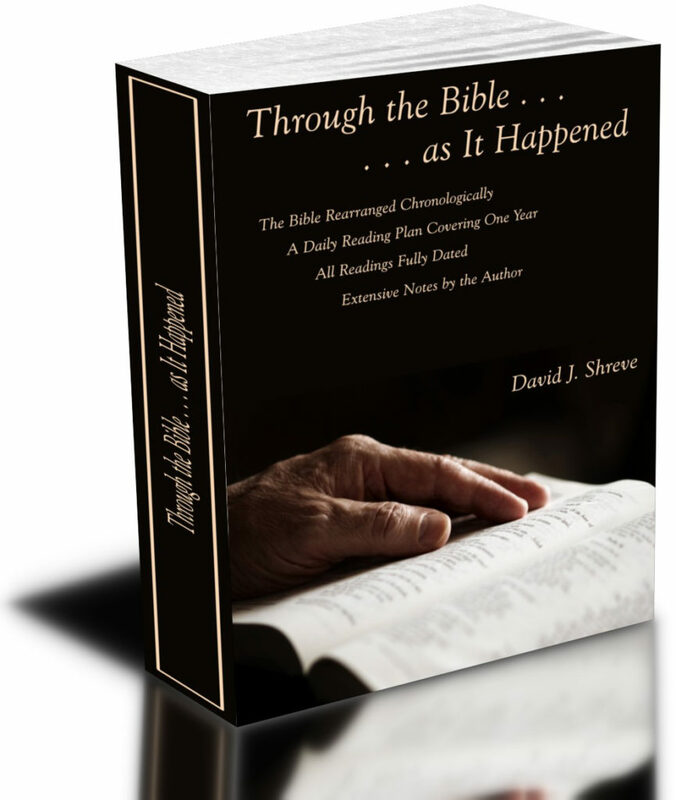 Painstaking research, extensive comparison, and review upon review was required to re-arrange the Bible chronologically – and correctly. The result is a printable chronological Bible reading plan which may become the new standard for this type of reading! The value of a chronological reading plan cannot be overstated. You would not read pages 1-5 of a novel, and then pages 97-100, then back to 46-60, and back again to 9-10, would you? You would never understand the book! 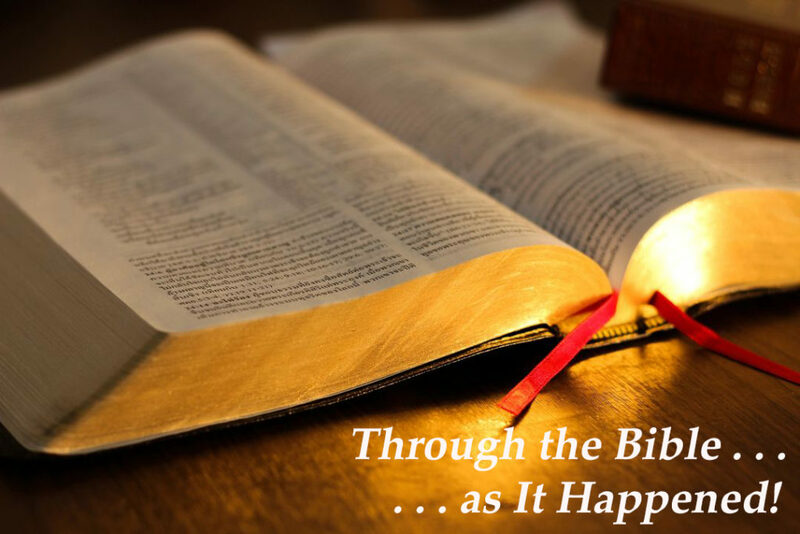 If you want to really understand your Bible, you’ll need to read it chronologically, in order. The Video below is kind of long – but it is good! You will start in Genesis – and end in Revelation – but in between will not be anything like the way you have ever read the Bible before. One event will unfold after another – they will all be in the order in which they occurred. All of the Psalms will be placed historically, the Proverbs, the Prophets – everything! And just like a novel concludes with the climax, so will the Bible. Every day, you’ll read from the Old Testament and the New Testament. In January, you’re going to read about Adam, Abraham, and Job. You’ll read the saga of Jacob and Joseph. You’ll read about the birth of Christ, His youth, and the beginning of His ministry. In February, Moses will lead the Israelites out of Egypt in the Exodus and God will begin giving the Law to His chosen people. Jesus will select His 12 disciples and begin training them for their lifetime of service. In March, you will see the preparations for the Tabernacle and then, the actual construction of it. You’ll learn all about the offerings and Israel’s religious observances. Jesus will feed 5,000, then 4,000 – and He will be transfigured on the mountain. In April, Israel will begin preparations to enter the promised land, and will take it under the leadership of Joshua. Jesus will teach about the Prodigal Son – and Lazarus will be raised from the dead. In May, the Judges will rule the land and you’ll read about Samson and Samuel. David will have an interesting meeting with Goliath! The world’s greatest act of evil will occur as Judas betrays the Son of Man with a kiss! In June, King Saul will hunt David like a wild animal, and David will experience his greatest moral failure. Jesus will perform the world’s greatest act of love as He gives Himself up to die on a cross. In July, you’ll read about Solomon as the king of Israel and watch his magnificent building program, including Israel’s first Temple. Saul of Tarsus will meet the Lord on the Damascus Road and become Paul, and his missionary journeys will begin. In August, Israel breaks up as a nation and Elijah battles King Ahab (and his wicked wife, Jezebel). You’ll hear from Joel, Hosea, Jonah, and Isaiah. We’ll take up 1 Corinthians and 2 Corinthians in the New Testament. In September, Hezekiah brings revival to the southern nation of Judah and the northern nation of Israel falls to Assyria. We are treated to one of Paul’s finest works, the book of Romans, and Paul is warned not to take a planned trip to Israel. In October, we read the writings of Jeremiah and begin reading about Daniel. We see Ezekiel in a far-away country, Babylon. Paul is arrested in Jerusalem and spends 2 years imprisoned in Caesarea, meeting Festus, Felix, and Agrippa. He is sent to Rome and begins writing his “prison” epistles. In November, Jeremiah battles the religious leaders and the nation of Judah falls to Babylon. In Lamentations, Jeremiah weeps over the city of Jerusalem. We hear from Jude and Peter and read the final words of Paul. We are treated to the exquisite book of Hebrews. In December, Israel returns from Captivity and secures the land under Ezra and Nehemiah. We’ll hear from Zechariah and Malachi. We are treated to John’s epistles and to the marvelous scenes from the book of Revelation. If You Are Ready Now . . .
Can You Answer These Questions . . .
#* Was Jesus really born on December 25th? And what was the REAL year He was born? Find out on pages 44 and 49. #* What is the most important verse in all of the Old Testament? You’ll find the answer on page 148. #* Since Jesus had no sin and was actually God, did He need to pray? What about prayer was important to Him? Turn to page 233 to find the answers. #* What legal safeguard did God make available to the one wrongly accused of murder? Page 329 is going to answer that question for you. #* What child rearing principles can we learn from how Eli raised his children? Go to page 455 for that answer. #* What major event happened at the Cross which many people know nothing about? Turn to pages 546-547 to find out. #* Since he was killing God’s people and was certainly not repentant about it, why did God save Saul of Tarsus on the Damascus Road? Pages 616-617 are going to answer that question for you. #* How many times is Jesus going to come back, and what happens when He does? Those answers are clearly spelled out on pages 715-716. #* Is is possible to know what Paul’s “thorn in the flesh” was? A full discussion of that appears on page 833. #* What is the absolutely most important thing a husband can do for his wife, and a wife for her husband? You might be surprised! Page 976 reveals the answer. #* What exactly is the Mark of the Beast (the number 666) and is there Scripture which defines it for us? Pages 696 and 1174-1175 are going to have the answers. #* How large is the “heavenly city New Jerusalem,” how large of a footprint and how high is it; what does it “coming down from heaven” mean? You may be astonished at the answers, which are found on page 1196. Your Bible is only as large as what you read – how large is yours? You’ve thought about doing this before, but haven’t – if you don’t start now, when will you? You’re not sure you can do this – how will you know unless you try? In the final analysis, what is the difference between an atheist who doesn’t believe the Bible and doesn’t read it – and a Christian who does believe the Bible and doesn’t read it? Added Limited Time Bonus When You Purchase Now! These are produced weekly (with a few exceptions: when the author is ill or on a short vacation) and present timeless Christian truths with a fresh and dynamic edge to them. That means you won’t be hearing the same old stuff! There Is No Reason to Wait: Act Now!